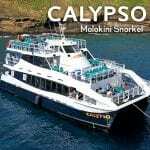 The Calypso Maui is the culmination of over 30 years of experience and research about Molokini snorkeling trips. 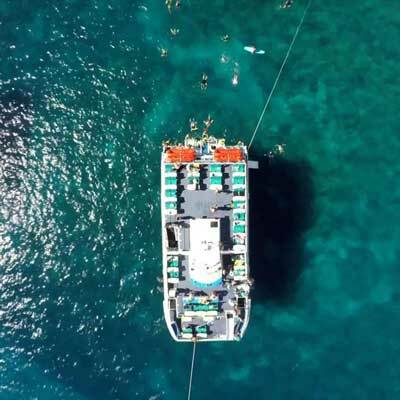 The owners of the famous Quicksilver just finished construction of this monumental vessel that has been painstakingly considered to give you the ultimate Molokini snorkeling experience. 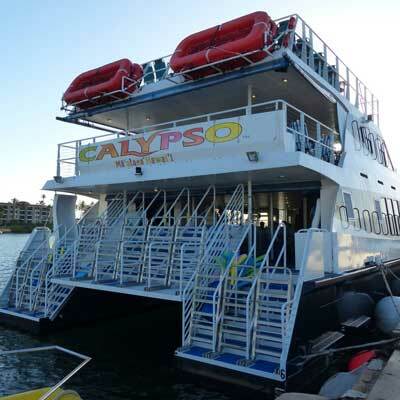 Many of our clients are calling the Calypso Maui a “Floating Waterpark” with its waterslides and glass-bottom viewing room with 4 big glass panels. That’s right, it’s a glass bottom room that will immerse you in the ocean without getting wet! A great feature for those who aren’t interested in getting into the ocean. 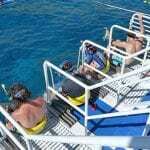 Most of the Molokini snorkel boats have one deck, a few have double decks, but only one has three decks! Taking the same number of passengers as the double deck boats means that the extra space is for you and your crew to relax and spread out in on your cruise. To say this vessel is large and stable is an understatement. 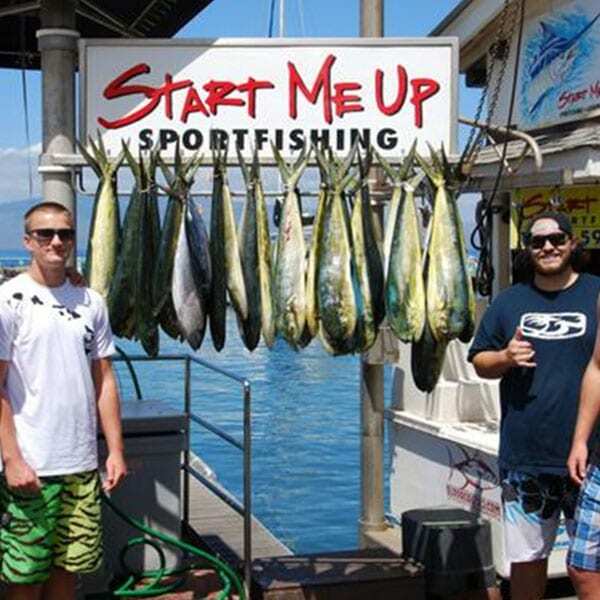 It is the biggest boat moored on Maui and has room for your whole family, including distant relatives! The Calypso Maui departs Ma’alaea Harbor early in the morning to take advantage of the calm waters and epic snorkeling conditions that exist only in the mornings. The crew will start you off with a hearty spread for breakfast that includes fresh fruit, fresh cinnamon rolls and other pastries, coffee, juice, and more! 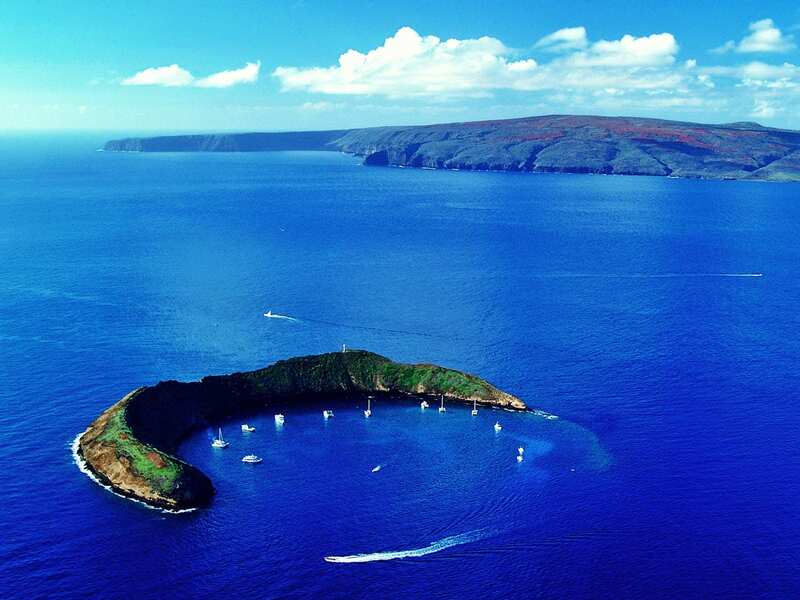 Molokini Crater is one of the coolest places you’ll see in the Hawaiian archipelago. 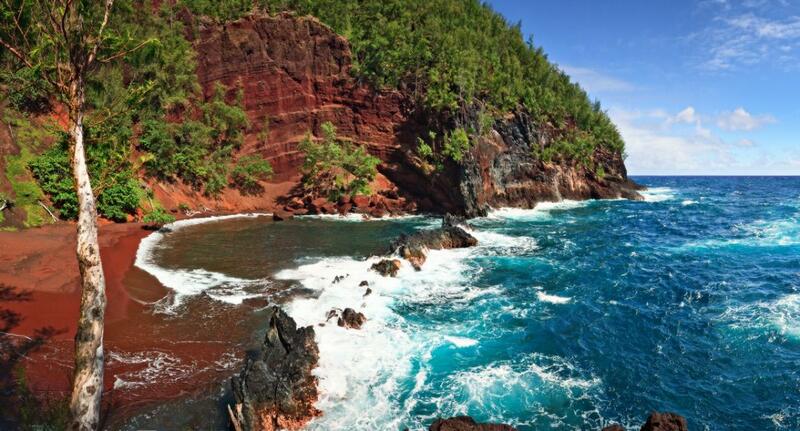 This incredible site is home to several fish species and a variety of coral! 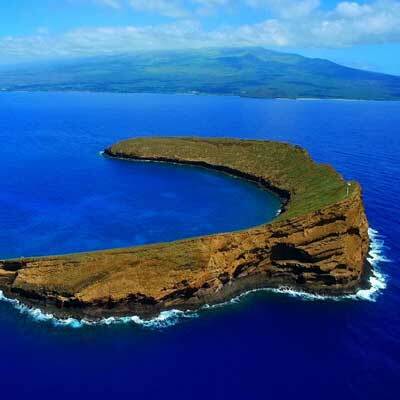 Molokini Crater itself is classified as a bird preserve and in the water as Marine Life Conservation District. 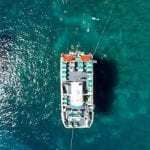 Fishing is illegal, making the schools of fish huge and ready for you to enjoy watching underwater. 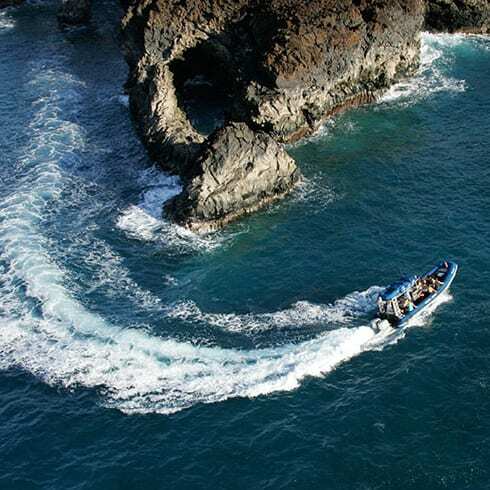 Water visibility at Molokini typically exceeds 150 feet. 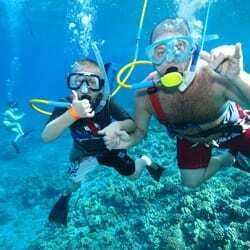 With your snorkel, mask, and fins you’ll be able to swim around and enjoy the colorful and relaxing underwater scenery. Every safety concern has been taken into consideration and you can relax knowing that the captain and crew of the Calypso Maui undergo extensive training and are prepared for every possible contingency. Safety equipment such as floatation devices are readily accessible and the boat regularly receives an inspection by the United States Coast Guard. In a major development, this boat has created is the ease of access to the water. 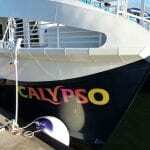 Calypso has extra wide stairs that lower completely into the water, no need to hobble into the ocean, you can glide right in off the stairs. However, for you thrill seekers, there are multiple water slides and a special platform for making the big leap into the water! 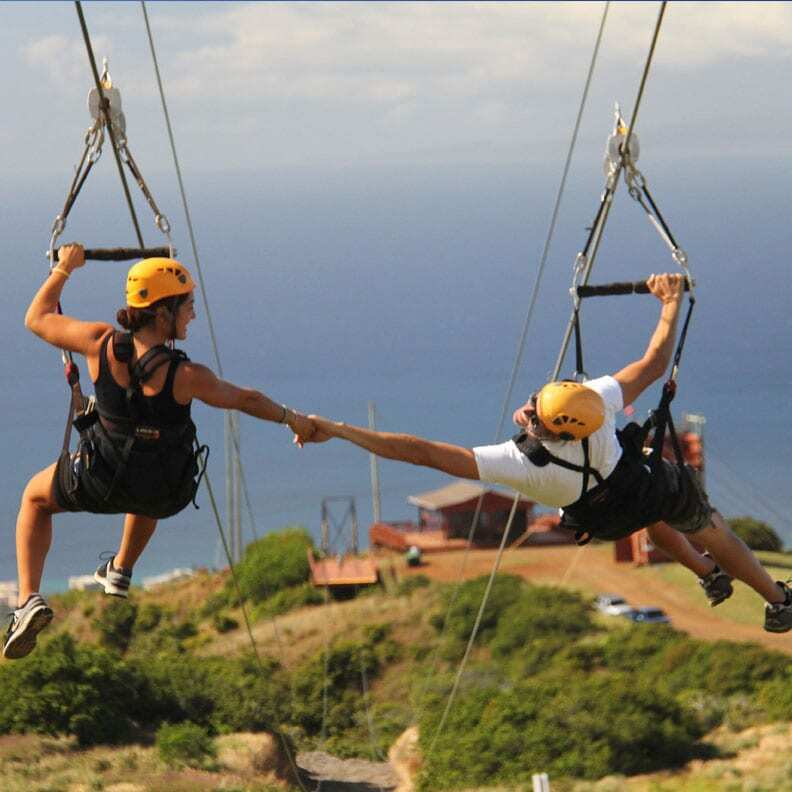 We love it, it really is an awesome way to spend a morning of your vacation. 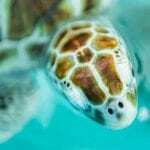 Your second snorkel site will have you swimming with the turtles at Turtle Town! It is many of our clients’ favorite snorkeling site because of the chance to see these beautiful green sea turtles. We also regularly see Hawaiian spinner dolphins in the are too! Lunch is served at the second snorkel site and will delight your palate with a full BBQ buffet, don’t worry vegetarians, we’ve got you covered as well with many vegetarian options. 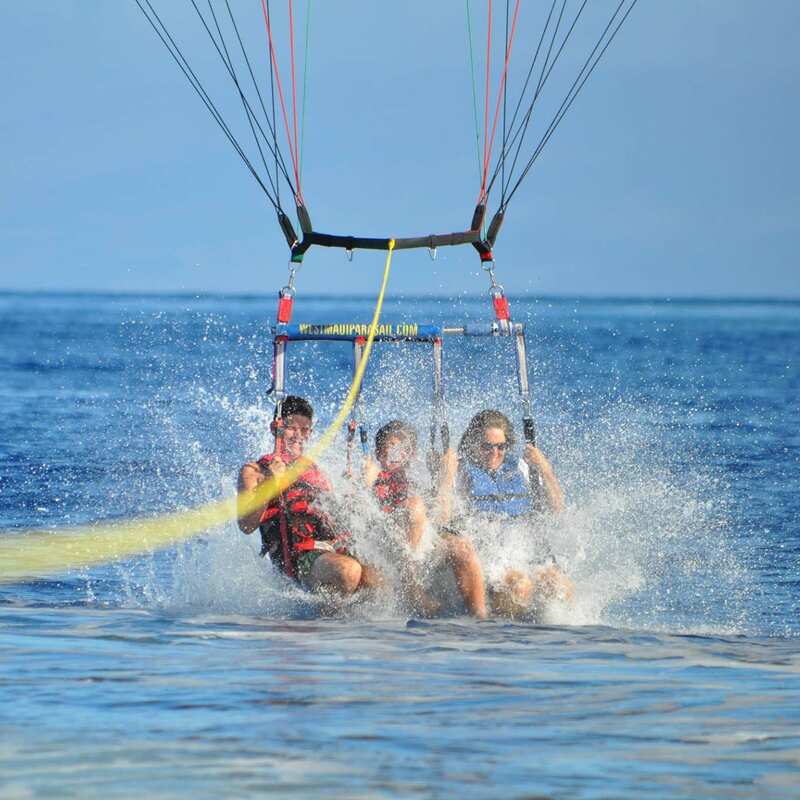 Maui Activities: Maui Specials, Turtle Town Maui, Maui Ocean Activities, Departing Maalaea Harbor, Snorkel Molokini, Maui Whale Watching. Please selectCheck In 6:45 am, Depart at 7:15 am. Molokini as a snorkel destination is at the discretion of the captain. 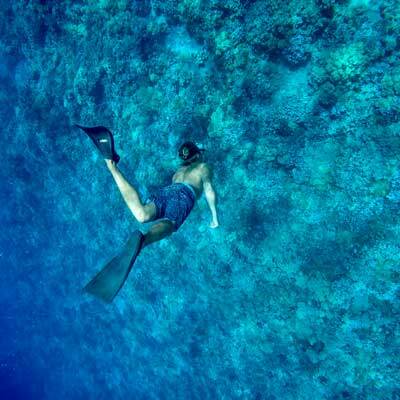 The captain may select another snorkel site during inclement weather. My husband and I booked a Whale watching trip with Michele last week and it was better than imagined. Truly, a breathtaking adventure! But, the best part of the experience wasn't JUST the boat trip out to sea to watch these beautiful mammals. It started with top-tier customer experience and ended with delicious restaurant recommendations! We couldn't have been more thrilled with the entire day and it was hugely due to Michele taking the time to chat with us, get to know our tastes, and help us navigate the beautiful area! Mahalo, Michele for going above and beyond in customer service, professionalism and being a welcoming beacon for these island newbies! We cant wait to come back! Lillian gave us great service when we stopped in to purchase tickets for a boat tour. Thanks, Lillian! We were there in March, and you were very helpful and friendly. I would give 0 stars if I could. 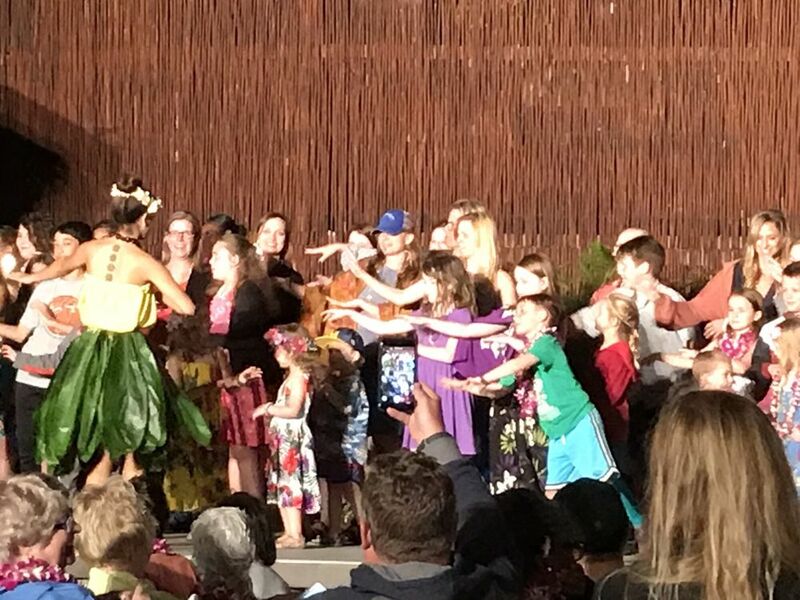 We paid for the #1 rated Luau at the Grand Wailea. 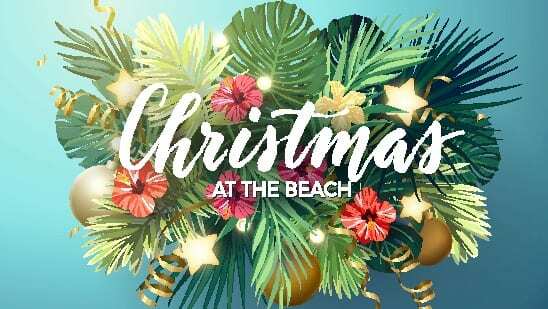 through their website. As we were leaving we realized on our confirmation email they booked us for a cheaper one at the Marriott, but still charged for the price at the Grand Wailea. 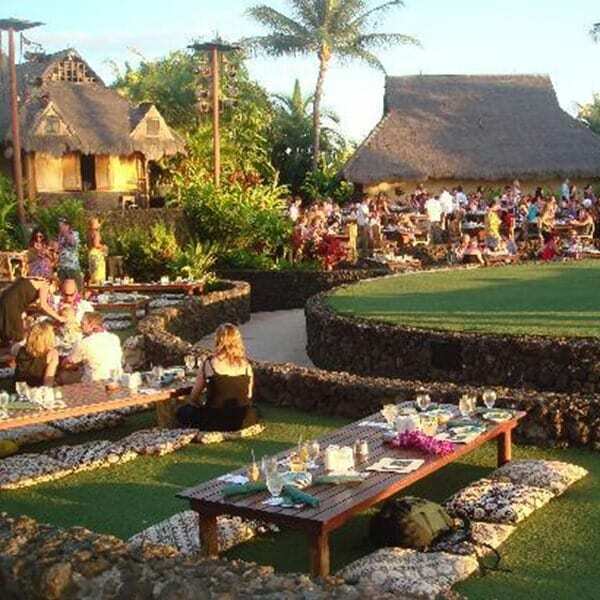 Instead of doing the decent thing, and calling to switch Luau’s for us, they didn’t. Instead we were told “we should probably get a refund tomorrow” and to go pay twice the price at the Grand Wailea itself. We missed out on one of the biggest things we were looking forward to doing for our stay. And now we leave tomorrow, and get to end our trip poorly. Stay away from here. These people aren’t the upstanding citizens like the rest of Hawaii has been to us. 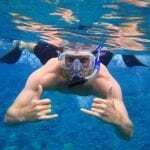 If your planning a Molokini snorkel trip, make sure you do not book an afternoon trip. They do not tell you they don’t go there in the afternoon’s. It’s too windy. We were disappointed when they took us to a west shoreline that we could have gotten to by foot. When you go here ask for Michele, she has the best customer service. 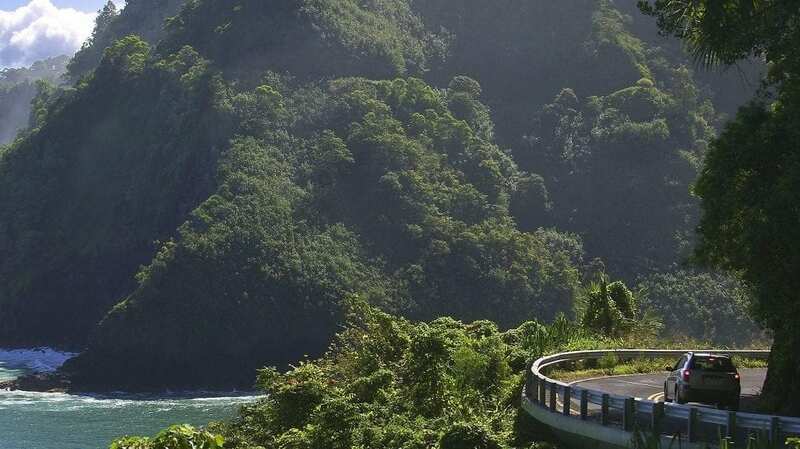 She'll make sure you have the gear you need and tell you the best places to go on the island. She is very friendly and will make you feel like you've been friends forever. I'll definitely come back because of Michele.